Just regular folks. : Tid bits. 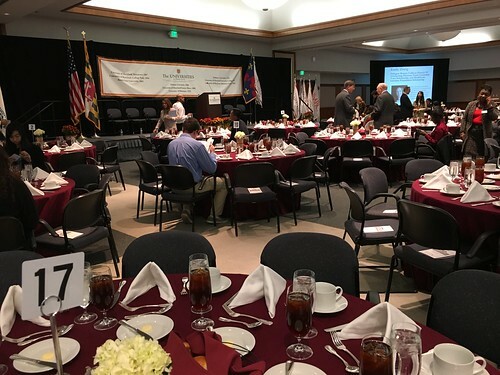 I went to a scholarship luncheon on Friday. I got a scholarship this fall which covered about 40% of my tuition which was a wonderful surprise. I always think I'm at the bottom of the list no matter how good my grades (which, to my tiger-daughter dismay, are not all As) are because I've already got a BS, I'm going part time and I have much less financial need than a lot of the other applicants. The lunch was planned and catered by the hospitality students at the UMD Eastern Shore - that was impressive as well. It was a buffet lunch and it was quite good given how those things usually go. On Saturday, Jeremy and I played the - if we had a bazillion dollars and didn't have to work game - and talked about what we'd buy, where we'd live, what we'd do. If it happened tomorrow and the kids were still in school, we'd just hire a house person who would take care of all the house things - the kaput dryer, the non-draining deck, the mold growing within the double paned windows, the car oil changes, the growing puddle in the bottom drawer of the refrigerator, the invasive species taking over our lawn, etc. But if we really had a bazillion dollars, I'd love to be able to give full scholarships to folks who are first in their family to go to college. At the scholarship luncheon, a few students who got the full ride scholarship got up to talk about how much it meant to them. A lot of tough situations, a lot of hard work - getting weepy about being able to become and accountant or special needs teacher. It's hard to think of other things which have a greater return on investment. 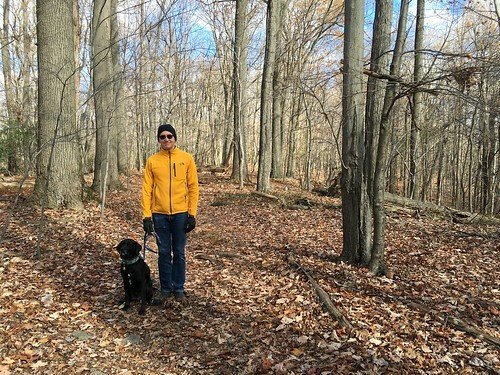 Jeremy and I took Maxi to Sugarloaf Mountain on Saturday for a hike. The kids were occupied elsewhere. We didn't take Ruby because, for the first time, we thought she wouldn't be able to keep up. I can play favorites with the dogs, I will admit that Ruby does lots of things without Maxi because Ruby is better behaved and easier to manage. But Maxi did well on this hike, she clamored up rocks and went over ravines, only growled at one other dog. We stopped off at a farm stand to get some apples and I threw Maxi an apple core which she usually devours. But this time, she licked it and then ignored it. I glared at her - Max! You only eat apple cores because you don't want Ruby to have it. Such a younger sibling... Ha!